You need to reassure your customers that the products you use in your projects are high quality and built to last. If something does fail you need to be confident that your supply partner is there to support you in putting it right. 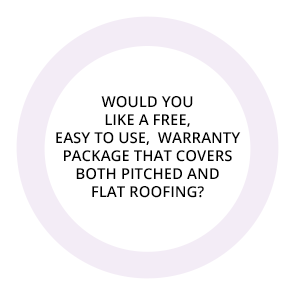 The ONE Warranty package is a free to use One Stop Shop 15 year warranty for the complete build-up of your roofing projects. It is free to register and free to use. Simply fill in the form and register for a membership pack. With ONE Warranty you do not need to chase multiple suppliers to process your warranty claims, everything with ONE Warranty is backed by SIG - a FTSE250 plc. Simply register here and then when you want to add a warranty to your project simply fill out this form. You can offer your customers a 15 year product warranty across the whole package. You can give them reassurance that you use high quality products from a trusted supply partner. In the unlikely event that a product fails in a flat or pitched roof – you can have the peace of mind that SIG Roofing are your single point of contact to make a warranty claim. You need to be able to offer high quality products to your customers. 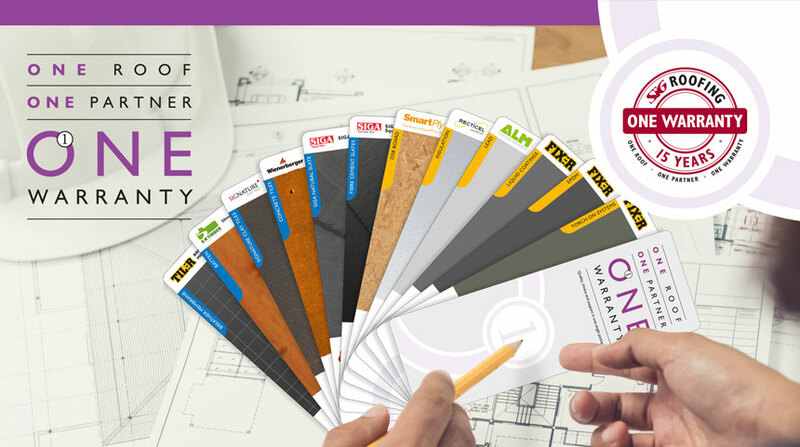 Products included in the ONE Warranty scheme are from trusted manufacturers and some of the biggest brands in roofing. This means you and your customers can reliably choose the right product for the right project. 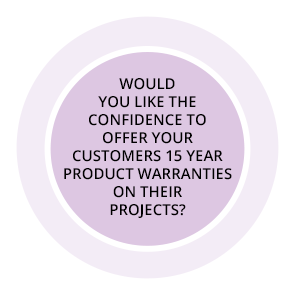 Your project will benefit from a 15 year product warranty on items included in the ONE Warranty scheme. Giving you peace of mind in the unlikely event that a product fails in your roof. 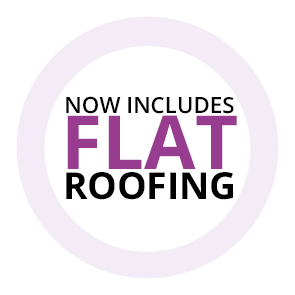 Your ONE Warranty backed roofing contractor has access to the biggest brands in pitched and flat roofing - all with the added reassurance of a 15 year product warranty. If a product covered by ONE Warranty does fail then the claim process is very simple. 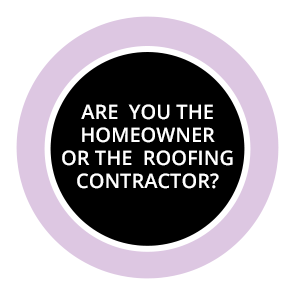 Your contractor simply contacts SIG Roofing and we will then start an investigation into the product and process your claim. With ONE Warranty there is no longer a need to hold multiple warranties from lots of manufacturers.